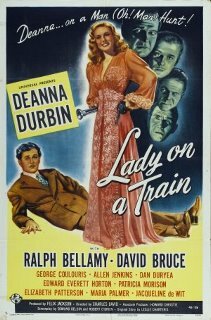 Young, pleasant Nikki Collins (Deanna Durbin) witnesses a brutal murder while riding on a train on her way to New York City. Though she desperately tries to inform others of what she saw, no one believes her. In her scramble to convince someone, anyone, of the crime, she finds an ally in a mystery writer named Wayne Morgan (David Bruce). 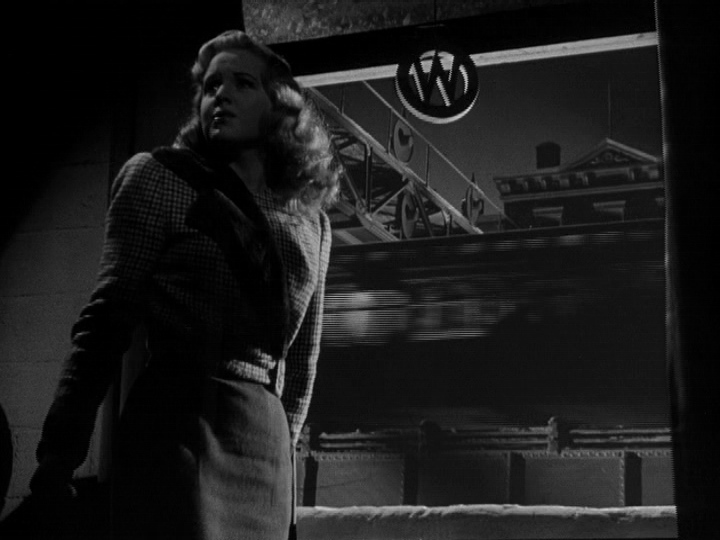 Trapped as she is on the train, however, the more she tries to raise the alarm, the more attention she draws to herself -- and the killer is starting to notice. 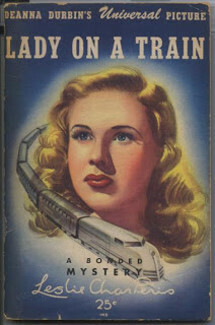 The script for Lady on a Train was based on a story by Leslie Charteris, who created the dapper detective known as "The Saint." 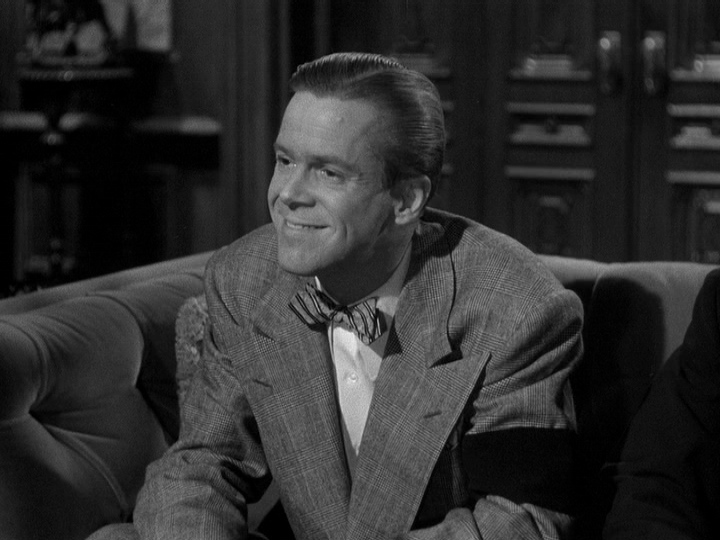 The comedy came courtesy of screenwriters Edmund Beloin and Robert O'Brien, who had written for Jack Benny's radio show, and would go on to write films for Bob Hope. 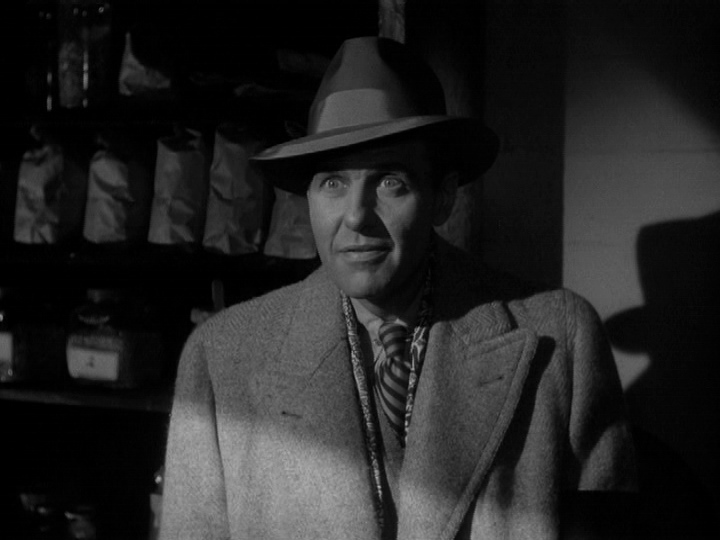 The film also had an exceptionally strong supporting cast of comedy stalwarts such as Edward Everett Horton, Allen Jenkins, and Elizabeth Patterson; interesting heavies like George Coulouris and Dan Duryea; and the always-dependable Ralph Bellamy. 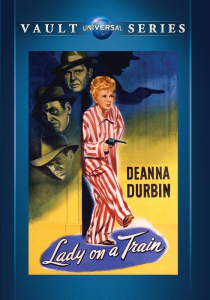 Still, in spite of a few good reviews like Variety's ("Deanna Durbin explores the hazardous path of farce comedy...and does a bang-up job of it"), critics were not kind to Lady on a Train. Some, like John McCarten of the New Yorker, were gratuitously mean-spirited about Durbin's appearance: "she has developed a marked resemblance to [journalist] Dorothy Thompson, who is a handsome but hardly cute type...juvenile capers can become sticky when cut by a fairly substantial young matron." It seemed that the critics either didn't want to let Durbin grow up, or were confused by the mixture of comedy and crime. 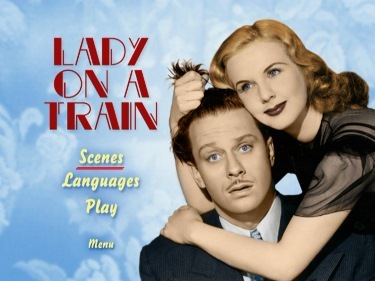 Today's critics, however, have no such problems, and are much more enthusiastic about Lady on a Train. Leonard Maltin calls it "a lighthearted whodunit," and "the most successful attempt to adapt her earlier persona to a grown-up Deanna.". 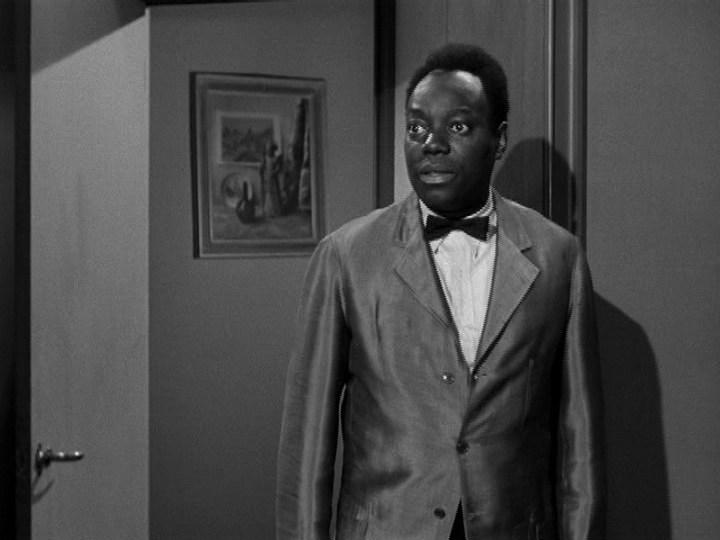 Gregory reviewed the Deanna Durbin Sweetheart Pack from 2004 HERE. In their infinite wisdom, Universal decided to release Lady on a Train in their MoD 'Vault Series' - and in the process, lessoning the quality of the SD digital transfer produced 13 years hence. I notice that Simply Media (UK) also did a PAL version back in the day HERE. The 'Vault Series' disc is predictably single-layered and has no menus, or extras, and the transfer is interlaced (see combing in bottom capture.) 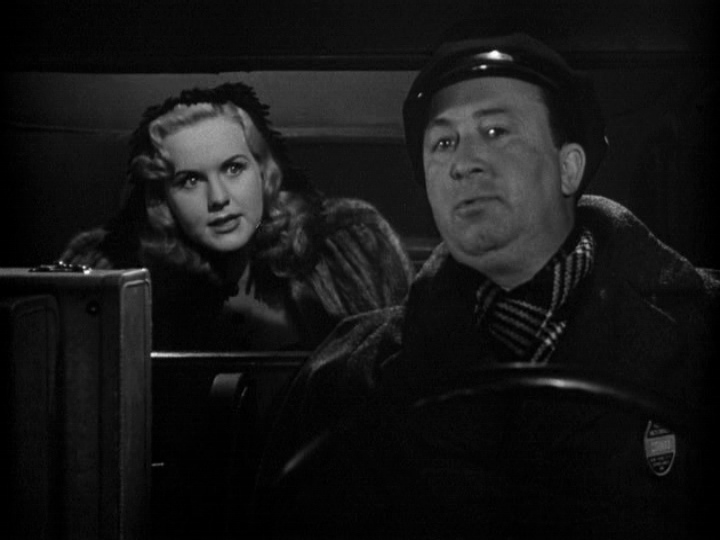 In static stills it looks reasonably as good as the one in the Deanna Durbin Sweetheart Pack, and probably suitable for CRT (Cathode Ray Tube) viewing. The audio is decent lossy Dolby but unremarkable in terms of quality. 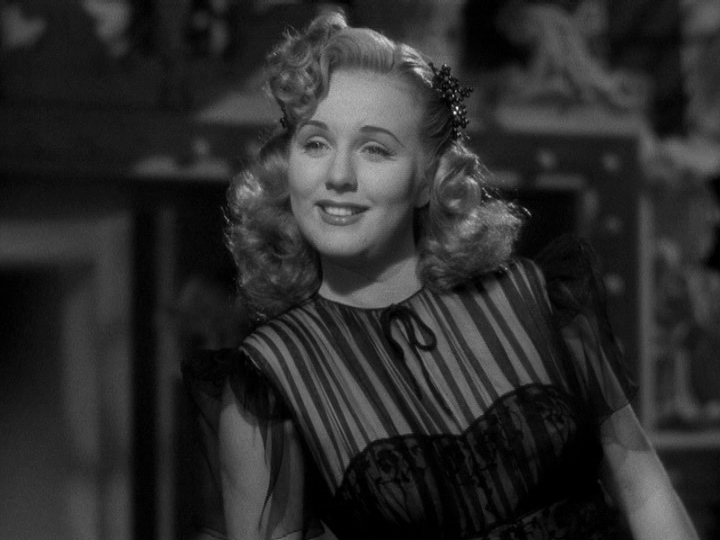 The iconic Mikl�s R�zsa did the score (The Killers, The Lost Weekend, The Private Life of Sherlock Holmes, The Strange Love of Martha Ivers, Double Indemnity) but most will remember Deanna Durbin beautifully singing Cole Porter's Night and Day. There are no subtitles and the media is to region FREE. Lady on a Train is sweet. A cute vehicle for advancing Miss Durbin - showcasing some of her talent, and lovable qualities. The film works well in that respect. 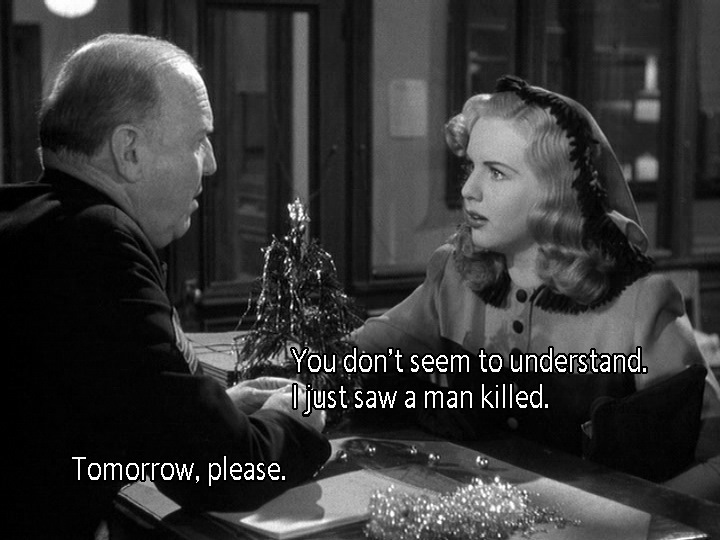 Obviously, The better deal is to buy the Deanna Durbin Sweetheart Pack. It's only a few bucks more than the Universal Vault stand-alone, subtitle-less, extras-less, menu-less, and interlaced MoD disc and has 5 other enjoyable films! Go for it - great value! 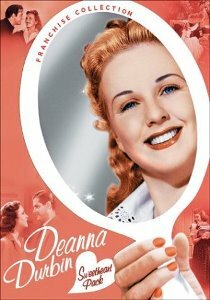 ON THE SWEETHEART PACK DVD set: In anticipation of Universal and TCM releasing Deanna Durbin: The Music and Romance Collection in the summer m0f 2010 (already delayed twice) - I dug up Universal's first collection of Deanna Durbin movies released in region 1 in 2004; Deanna Durbin: Sweetheart Pack. Deanna Durbin's first appearance on film was in MGM short with Judy Garland Every Sunday, available on For Me and My Gal disc from Warner. It was filmed while Deanna was already signed with Universal. 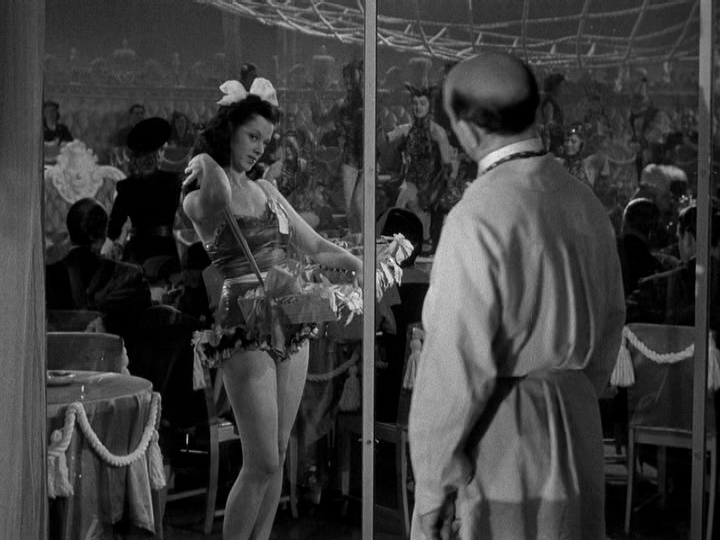 Thus all movies by Ms Durbin are owned by Universal except Spring Parade (1940) due to some rights dispute and It's a Date (1940) which was purchased by MGM to be remade as Nancy Goes to Rio in 1950. 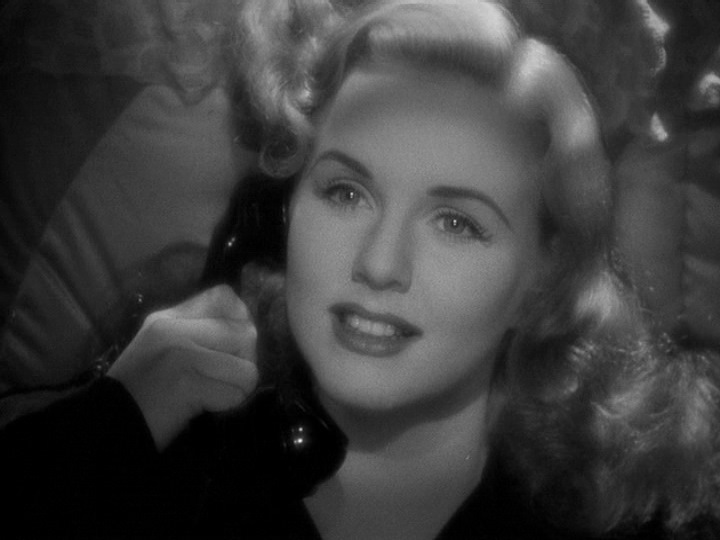 For some reason, there is no much love to Deanna Durbin in US even though she was Universal's most popular actress of her era. In UK 19 of her Universal films are released on DVD by DD Home Entertainment, available separately, in 3 different sets or in one mega-set with a soundtrack CD of her songs (the mega-set is now out of print). A similar set was also released in Australia (also out of print and without a CD) and many movies were released separately in Russia, Spain, Brazil. 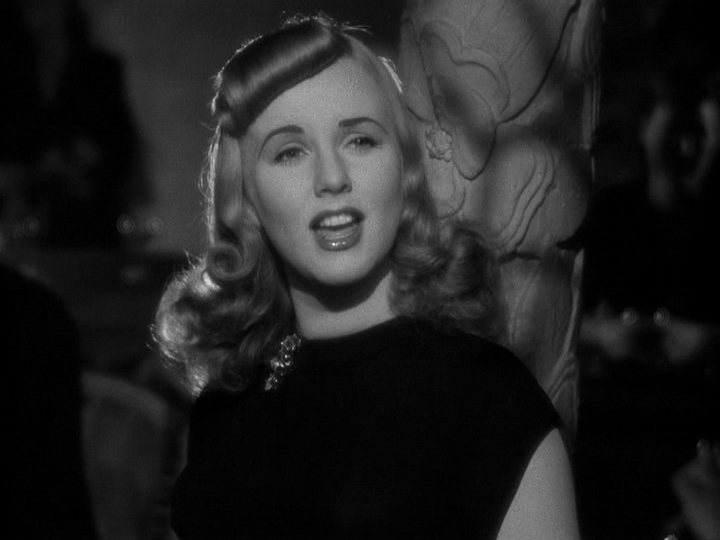 Deanna Durbin: Sweetheart Pack starts with her first feature for Universal, Three Smart Girls. 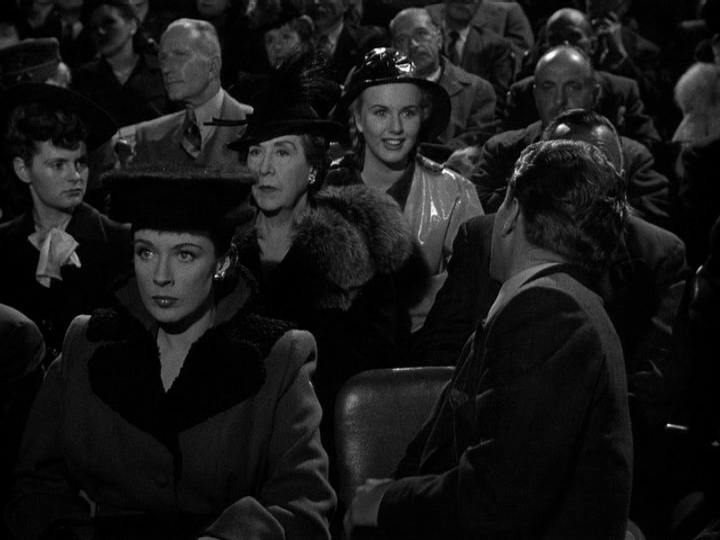 She is not the center of this film, sharing the spotlight with Nan Grey and Barbara Read as her sisters, but she is very memorable from the very first time she appears on screen with a song My Heart Is Singing. This film fares the worst image-wise with very heavy grain and some damage visible. 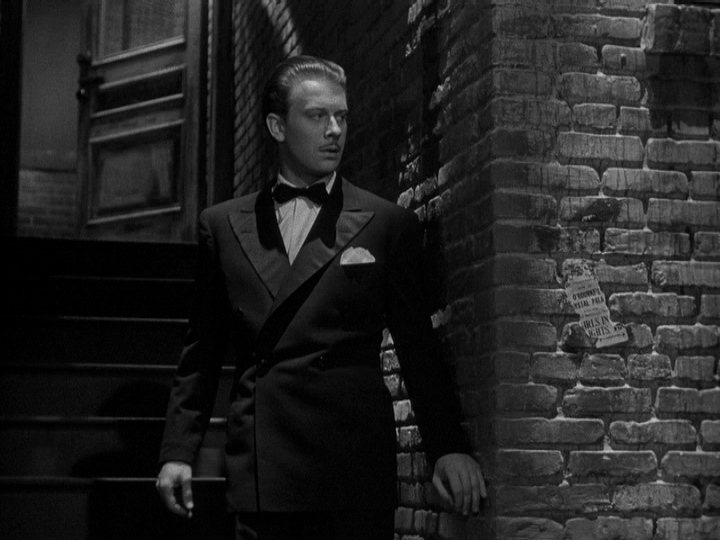 The next film on the first disc is Something in the Wind, which was one of her last movies. 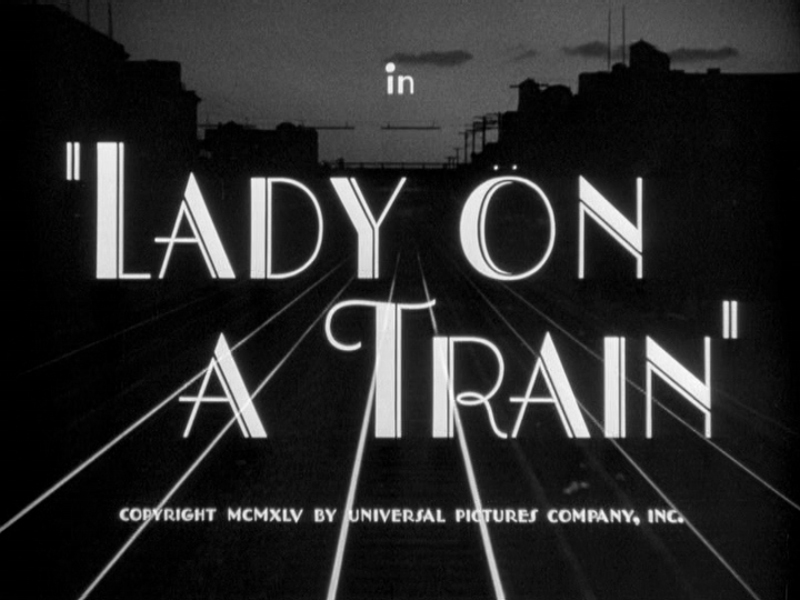 When the set was announced, this title was missing from the press release and One Hundred Men and a Girl - her best known film - was in its place. It would, actually, make more sense being in the package. That film to this day has not been announced in region 1. 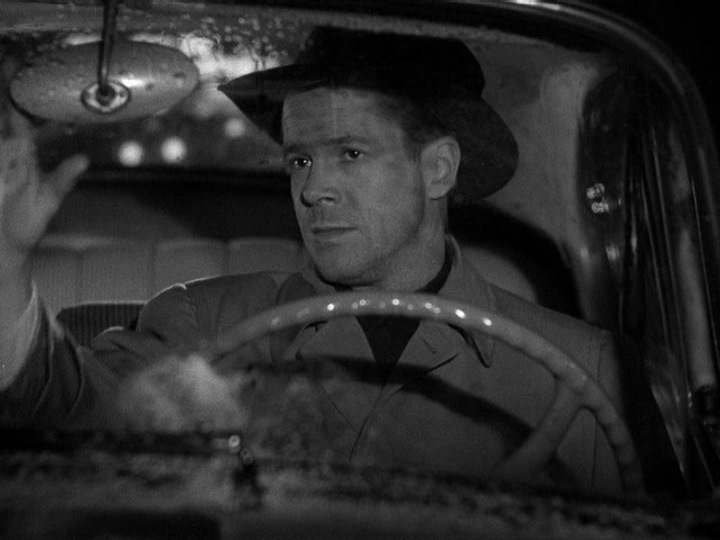 The rest of the films are presented in chronological order and while there are some specks and marks, overall the transfers are superior to Three Smart Girls. Her only Technicolor effort, Can't Help Signing, is included in this set as well and the transfer looks very impressive considering there was no special restoration done. Each film has English, Spanish and French subtitles and 4 of them include theatrical trailers. "Featurette" listed for Something in the Wind is actually just a 10-minute clip of 4 music numbers from the movie edited together. 2 discs are housed in a flimsy digipack - poor packaging. 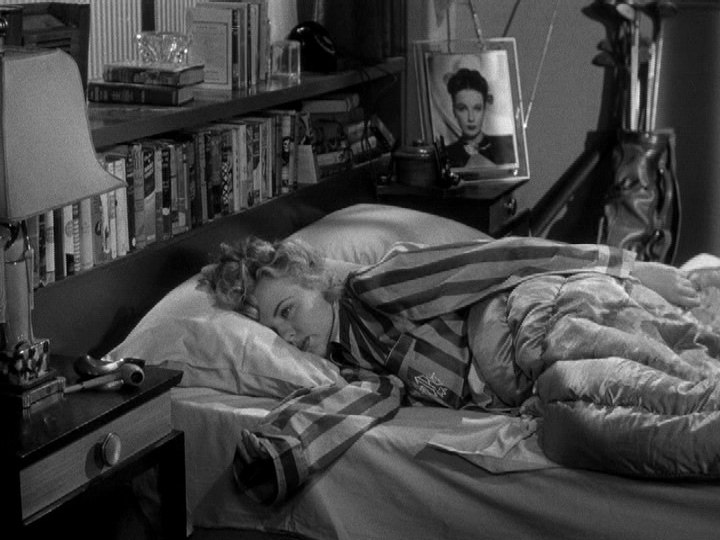 It would have been nice for Universal to include a short documentary or featurette about the actress, who retired from acting in 1948 and leads a private life only granting interview once in 1983. For movies themselves, the package is recommended and unfortunately these movies won't be released again or in a better packaging. 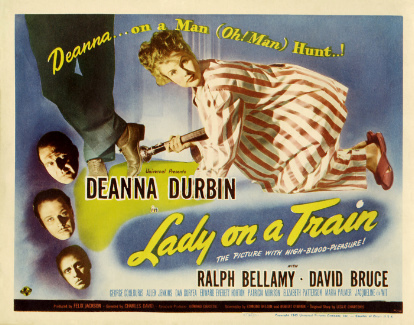 For more about Deanna Durbin, visit a site/forum dedicated to her HERE.